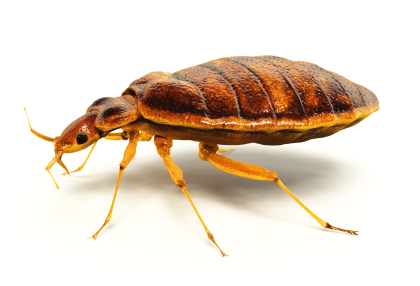 Bed bugs are parasites which generally feed on human blood when there is no other source of food available to them. They reside inside mattresses and this is how they acquire their name but it is also possible for these parasitic insects to thrive on any given area, including curtains, wallpaper and furniture. Contrary to what many people think, the bugs are not as a result of unsanitary environment. It is common for pets to bring these little but problematic insects inside the house. You might also carry some home if you have slept in an infested room if you are travelling. However, even with proper detection, it can be hard to be sure that you have a bedbug infestation. This is because the insects are nocturnal hence very tough to spot unless you use professionals to determine whether you have an infestation. Residential bug control services can be very helpful not just in detecting infestations, but also in eradicating the bugs from your home. It is important to have your bedbug infestation handled by professionals since you might not be that good at completely eradicating the bugs. You will be frustrated if you keep experiencing recurring infestations over and over. With the help of Toro Pest Management professionals, you can finally put the bedbug matter to rest. We offer extermination services that are effective, guaranteed and fast. We know the best ways of eradicating the insects. Vacuuming is among the techniques we use to get rid of the insects physically. We then use steam treatment to get excellent results with the eradication. This works because the bugs are very sensitive to temperature changes and exposing the infested areas to extreme heat of steam yields results. To ensure that we give you the best, Toro exterminators combine these two with pesticide treatments. We are indeed the best bed bug control you can trust with your infestations and be sure of getting only good results. Using our professionals is important for you considering that the process can be complex and using the right products and techniques is required. The bed bug control cost will depend on the depth of infestation, how much work is needed and the services you wish to enjoy from us. You can, however count on us to offer you the best rates for services. Toro Pest Management technicians are trained and certified giving you assurance that your property is safe and you will get the desired results. If the bugs come back, you can be sure we will come back too until we have delivered positive results. We are your bed bug extermination experts! There are a variety of ways to control a bed bug infestation. Vacuuming can be used to physically remove the insects. Because bed bugs are highly sensitive to changes in temperature, exposure of the infested areas to extreme heat via steam treatment can yield results. However, the most effective treatment is by a combination of the above methods with pesticide treatments from a professional exterminator. Control of a bed bug infestation is a complex process, and is potentially dangerous for non-professionals. TORO Pest Management is your bed bug extermination experts, contact us today!